Chivaz was conceived more than 10 years ago. Over that time, much like an indie/garage rock band, Chivaz has developed a small loyal following that supports the product that it makes. You keep supporting and the artist keeps getting better, but money and fame are not always part of the equation. Yet, once in awhile, an indie band produces a hit. It’s catchy, trendy and more than anything it just seems to be in the right place at the right time. 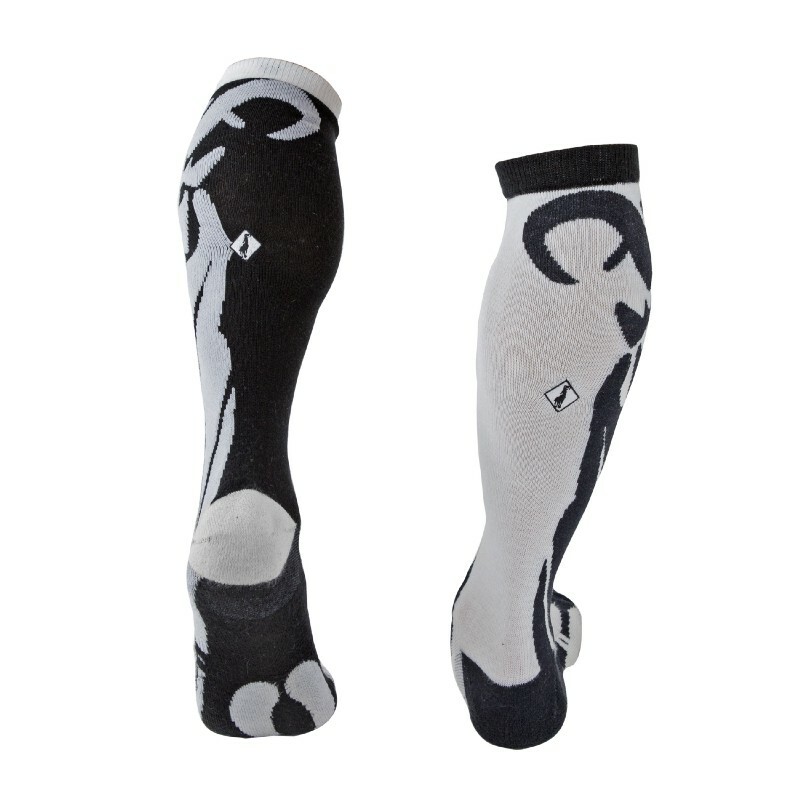 With this Black and White Goat sock, Chivaz is finally sitting on a hit. That said, a hit can never be a hit without the early fans helping spread the word. When you buy this pair of socks now, you will have an original pair of the socks that are soon to sweep the world. You will be able to tell your friends “I liked Chivaz way before they were popular” and they will all be SO jealous :-). As with all Chivaz, there is a story and a message behind each pair. With this Black and White pair, you are seeing a representation of two equal goats that are also perfectly opposite of one another. They can either face each other inside or look away on the outside. When something looks like it opposed to you, it might actually be fundamentally the same. These socks should remind you that different perspectives are just simply different and not necessarily wrong. Oh, and they look pretty rad also.